Australia is burning with the impact of a new music video released by Empire of the Sun, a collaboration between Luke Steele and Nick Littlemore. Their first single, “Walking on a Dream”, was filmed appropriately in Shanghai, the setting for the novel and movie, Empire of the Sun. The music video features Steele and Littlemore on location in Shanghai, wearing oriental costumes and makeup. Walkingonadream.com features the lyrics and a free downloadable remix by Sam La More, Nick Littlemore’s brother. 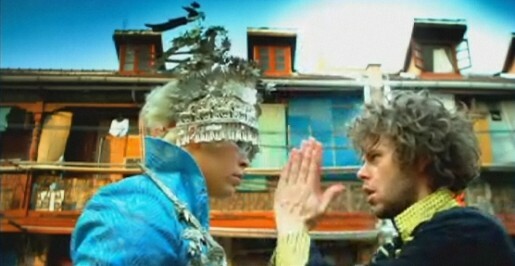 Empire of the Sun is Luke Steele and Nick Littlemore. This is the first single from their soon to be released debut album. Littlemore is also one half of Sydney electro duo Pnau. Steele is guitarist and vocalist for Perth band The Sleepy Jackson. The duo’s name, Empire of the Sun, comes from a 1984 novel by J. G. Ballard. The book tells the story of a young English boy, Jim Graham, living with his parents in Shanghai in the 1940s. After the Pearl Harbor attack, the Japanese occupy the Shanghai International Settlement. Jim becomes separated from his parents and is forced to live in abandoned mansions. He finally gets picked up by the Japanese and interned in the Lunghua Civilian Assembly Center. In 1987 Tom Stoppard (script writer) and Steven Spielberg (director) brought out the film, Empire of the Sun, with Graham being played by 13-year-old Christian Bale. The video was shot by Josh Logue via Mathematics, using an Oakley Red camera. 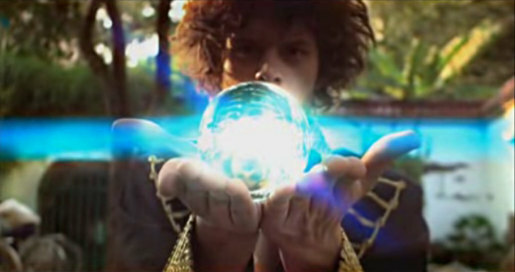 Walking on a Dream won Best Music Video at the 2009 Aria Awards.